Short trip outside Bucharest to Snagov Monastery and Mogosoaia Palace. Follow in the footsteps of Vlad the Impaler by visiting his burial place, Snagov Monastery. By local tradition he was the founder of the monastery, and his tomb is located inside the church. Apart from the beguiling stories, this monastery, situated on an islet of the lake Snagov north of Bucharest, is a treasure of local medieval art. Then visit Mogosoaia Palace, former residence of Prince of Wallachia Constantin Brancoveanu, essential landmark of Romanian art and culture. Start your tour heading towards the secluded Snagov Monastery, hidden on an islet of Snagov lake, 40 km drive north of Bucharest. We will pass through a village before crossing a bridge to the islet. Visit of the monastery, and I will explain you about the history of the place and about the real Vlad the Impaler, the fascinating prince and hero. The monastery boasts the original 16th century frescoes, considered the largest ensemble of medieval murals preserved in Romania. Then tour continues to Mogosoaia to visit the palace built in the late 17th century by Prince of Wallachia Constantin Brancoveanu. The Brancovan Palaces complex that includes the palace, other adjacent buildings and gardens, sprawls over a large area on the banks of a lake, in a beautiful natural setting. Prince Brancoveanu was a remarkable personality of Romanian history. A highly cultivated humanist, he managed to associate his name to an unprecedented art renewal in which local and Byzantine-Ottoman tradition, Renaissance and Baroque were mixed, giving birth to an original and magnificent style known as the “Brancovan style”. 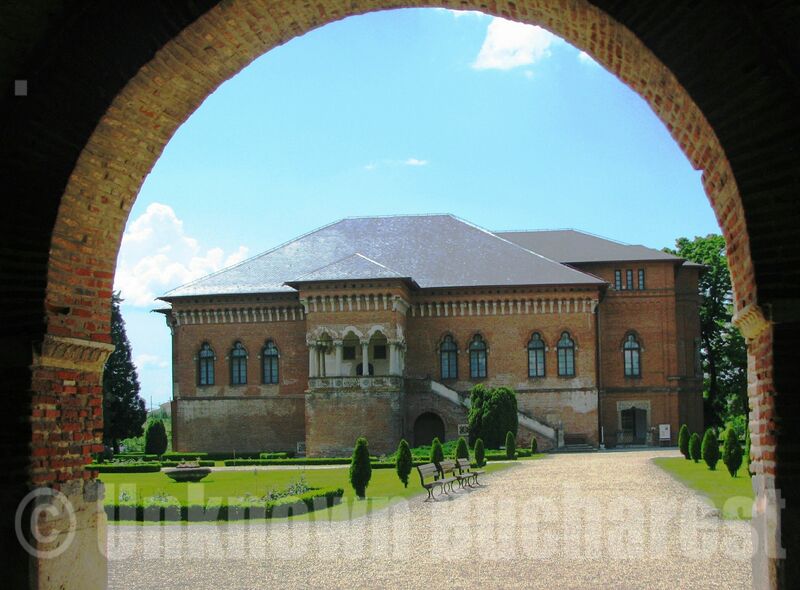 The Palace of Mogosoaia is emblematic of this Brancovan style which was to become a turning point in the history of the Romanian art. After visiting the palace and the gardens, we will have a refreshing drink or lunch at the restaurant, before returning to Bucharest.